Crossing all the boundaries of American power and embarrassment, responsible for the death of millions of innocent Afghans and the Afghan death penalty, has been making serious threats to the global court of war crimes, to stop the investigation from Afghanistan. US National Security Advisor John Bolton has threatened that if this “illegitimate court” has begun to investigate the war crimes in Afghanistan, it will be considered to be an abusive injustice. The US government will not only boycott the war crimes world’s global tribunal, rather, there will be no help with the tribunals in this regard and this global tribunal will be closed by all the types of aid provided by the US government. In addition, the world’s judges of war crimes will be fit into cases in the US, and more stringent measures can be taken against them, whose details are not yet described. Human rights organizations and the law and social justice for the welfare of law and social justice have condemned the American war crimes tribunal severely. And it is said that the US statement is open to all those who are targeted by war crimes. The head of the Human Rights Watch said that the American statement is based on the insult of the affected people. 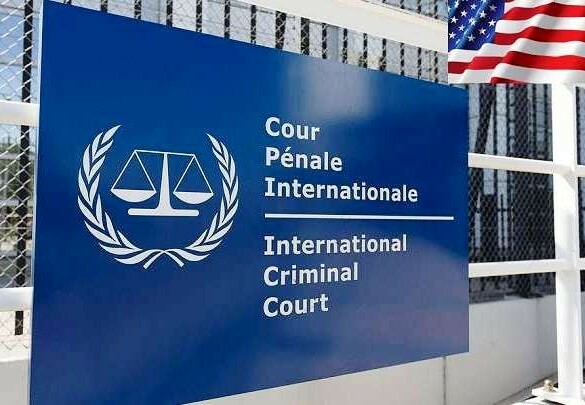 In many countries, including Syria, Burma, and Afghanistan, serious human rights violations and war crimes are more likely to have increased the need for the ICC combat crime tribunal. According to the Italian journal, the franchise officer Fanobini Bargain of the Female Criminal Tribunal in November of November 201 acknowledged that there was a valuable basis. The war crimes have been committed in Syria and Burma, including Afghanistan. World electronic media and newspapers have declared American threats extremely shameful reincarnating, a special representative of US President Donald Trump and former ambassador to various countries and US National Security Advisor, John Johnston, emphasized in a fresh statement. The World War of war crimes does not have the right to investigate or investigate any war crimes during the 17-year war in Afghanistan, and if the judges of the World Tribunal exceed their limits according to the American stand, in this case The US government will punish these judges and all those and non-American people with severe punishment. They will register cases including individual actions and to hear these cases and to apprehend them, judges and all those who cooperate with them will arrest and punish them in the US. According to San Francisco Chronicle, National Security Advisor John Bolton has called for a global threat to the war crimes world, established in the city of Hague, as a serious threat to the United States and allies, including the US and coalition forces, armed fighters and US Alliance including Afghan government forces intends to investigate the war crimes against Rashid Dostum of the Northern Alliance. John Bolton, an open-minded judge of the World War Criminal Court, said that the US Administration would not sit silent if the military ruled against any American or Israeli and the officers of the World Tribunal will not be forgiven. Their financial support will be stopped; they will be arrested and punished. The US National Security Adviser John Bolton has described the details of the threatening threats during a ceremony addressed. He said that the last warrant received a petition from the US by the Criminal Tribunal which was said to be assisted in investigating war crimes against US intelligence and armed forces. And especially after the arrest, the details of torture and deaths of US intelligence and security forces with suspicious Afghan prisoners. Although the US was notified with its (non-co-operation) standpoint of global war crimes war crimes. But the US Department of State has been told by the Criminal Court in Holland, The Hague that the World Justice Justice, the investigation of war crimes in Afghanistan, can start at any time. After which John Bolton reiterated serious threats to prevent such an investigation. But there has been no clear statement or stand by the judges and high court judges of the World Criminal Criminal Criminal Criminal Criminal Criminal Criminal Criminal Court. In a statement, in a statement, the World War of War Criminal has said that the War-crime Tribunal is supported by 123 countries. The same court has been appointed by the Security Council for a neutral investigation of war crimes in the past.